Bovis Homes, who have been building family houses around England and Wales for more than 125 years, have made history with the stunning new homes they are currently building at Cloister Gardens in Sneyd Park, Bristol. Renowned as creators of communities that are made up of quality, traditionally-built mid-market properties, covering everything from one-bed apartments to six-bed family homes, with Cloister Gardens they have moved into new territory. "We're proud of all the homes we're building across Bristol but at Cloister Gardens we really are creating something special," said Regional Sales Director Barry Cummins. 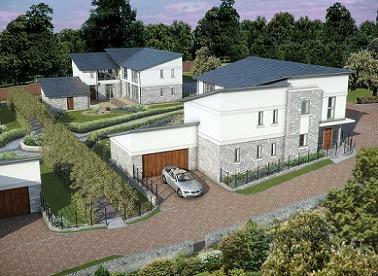 "These are luxury houses in one of the best locations you could find anywhere in the South West. "Close to the Avon Gorge, the Clifton Suspension Bridge and the Downs, it really is in a stunning area and we have built some top-of-the-range properties that reflect their superb surroundings." Cloister Gardens is an exclusive 12-house development currently taking shape in a cosy corner of Sneyd Park and will include the first £1million-plus houses that the company - who started up in London in 1885 - has ever built. "We've never targeted the million-pound market as a business but at Sneyd Park we have not one, but five homes that will be priced around that figure," said Barry. "And we are confident that once they have been completed and people see the quality of the build and the superb specification, together with this wonderful location, those prices will look like excellent value." 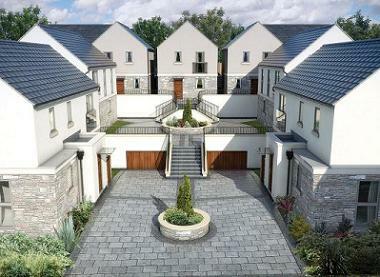 All of these homes are luxury five-bed properties while another part of the development, called The Mews, will feature three and four bed homes. "Some of the homes in The Mews have been released already, interest is high and sales have been quick," said Barry. "We are expecting the first people to be able to move into this fantastic community in the Spring and our first £1million showhome to open its doors at the end of March. "Wherever we build we stress that we are about creating communities and this one is small but perfectly formed!" said Barry. "Not only will the homes be magnificent inside and out but the landscaping will be stunning and create a special atmosphere." The landscaping features will include historic parts of the site such as a listed pear arch, gazebo, kitchen garden walls, ponds and paths which date back to the 19th Century when the land was part of the Sneyd Park Estate. Back in 1859 the estate land was divided up with an eye to providing luxury homes for Bristol people. More than 150 years on, that vision is being well and truly realised by Cloister Gardens.